Announcement Inspired by wildlife and geometric form, this collection combines a range of techniques such as digital printing, appliqué and screen printing to produce original and striking products for traditional and contemporary interiors, creating cushions and lighting based on hand drawn illustrations and embroidery. Inspired by wildlife and geometric form, this collection combines a range of techniques such as digital printing, appliqué and screen printing to produce original and striking products for traditional and contemporary interiors, creating cushions and lighting based on hand drawn illustrations and embroidery. Speedy and safe delivery, good quality - everything as promised and described! 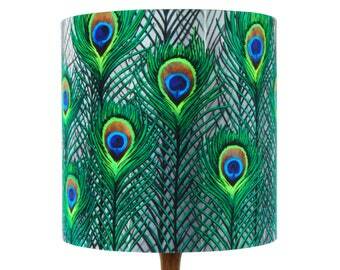 Love these lampshades, and very quick delivery - thank you! 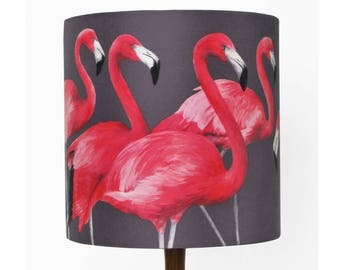 Enjoy a bit of wildlife inspired luxury in your home! At Katie & the Wolf I create cushions and lighting based on hand drawn illustrations and embroidery. 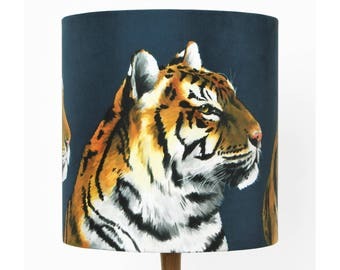 Inspired by wildlife and geometric form, I combine a range of techniques such as digital printing, appliqué and screen printing to produce original and striking products for traditional and contemporary interiors. Katie & the Wolf ... is a designer maker creating exciting, original interior textiles and unique handcrafted jewellery. All items are designed and made in England. Most orders dispatch within three days. If you wish to return or exchange your purchase, please let me know within 14 working days of you recieving the item. Items must be returned in original condition for a refund or exchange. I accept payment through Paypal, direct payment from Credit / Debit cards, Etsy Gift Cards, and UK Cheque. Please pay within 48 hours of placing an order. I will dispatch the order when payment is recieved or when a cheque is cleared. Wholesale enquiries and custom orders are welcome, please get in touch!